According to famous economist Paul Volcker, if the modern society has benefitted from any financial innovation, it is the Automated Teller Machine (ATM). He went on saying the ATM has brought the public a lot of advantages and improvements. However, most experts don’t agree with what Volcker has to say. According to an essay posted by the founder of GigaOM, Om Malik, who is also a venture capitalist, entirely placed emphasis on the fact that crowdfunding will be the new face of day trading and the fact it is the newest financial innovation, a digital product designed to reduce costs and promote a broadened participation in the market that has been defined by him as being closed and clubby. 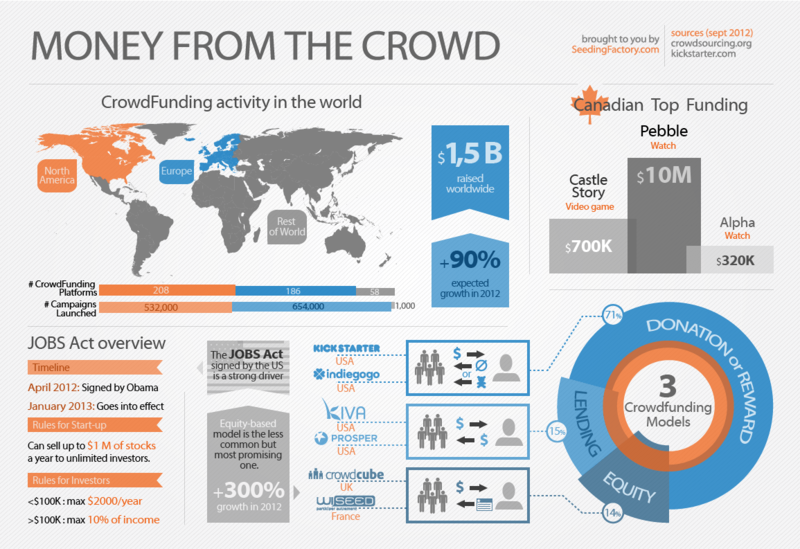 Below is the infographic on some crowdfunding data. To be abundantly clear, Malik isn’t referring to the popular crowdfunding platform ‘Kickstarter’, where crowdfunders make separate contributions that are actually meant to be pre-orders. What Malik is referring to here is the access to buying stock in private enterprises by the public, which is something which can soon be expected to be legalized, all thanks to the JOBS Act, which came out with some new regulations from the SEC permitting private companies to market their investment opportunities for legitimate investors. For example, various hedge funds and start-ups can market their opportunities and advertise the fact they are raising a lot of money. Just consider the fact that soon a majority of people will be given the chance to invest with some of the wealthier citizens of the society. And if that happens, it would trigger a massive influx of participation in crowdfunding and start-up investing. However, if you compare this with day trading, it would provide an affirmation for the crowdfunding sceptics’ worst fears, which is, that if the party ends, the public will end up losing most of their money. And to much surprise, that has happened with day trading. According to a research study conducted in 2004 by day traders in Taiwan, while a handful of traders repeatedly made money, eight of ten day traders ended up losing money. Another report confirmed that less than 1% of day traders’ actually succeeded in making money. Two of the researchers who conducted the research discovered similar information on stock trading 4 years prior to their initial research. The paper they wrote was titled “Trading is Hazardous to Your Wealth.” Once you deduct the commissions, the research identified the households that traded poorly when they invested in index funds. In fact, they found out that the more these households traded in the index funds, the more they lost. According to them, their empirical proof is derived from 20% of the households that were engaged in frequent trading. With the average revenue being more than 20%, the households turn their nominal investing portfolios twice every year. The gross returns they made were less than decent and they virtually had no net return. 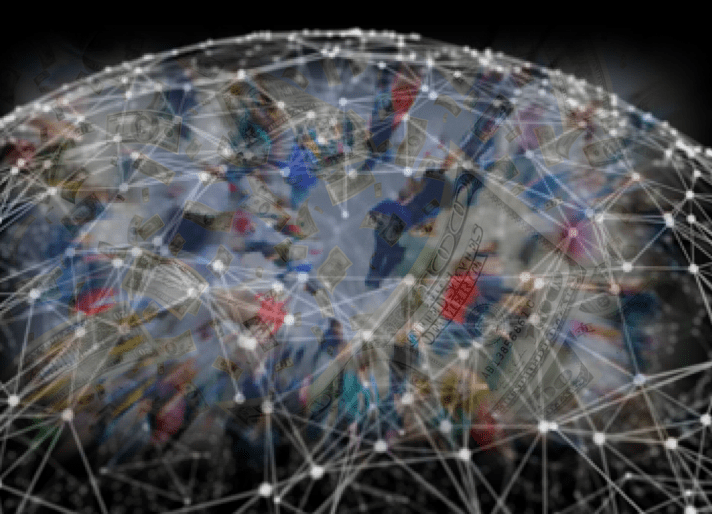 So, it is true that when you talk about crowdfunding and day trading, it kind of begs the question whether or not a wider participation by active day traders is a good idea. Om Malik does acknowledge this problem and explains that although people don’t hesitate to consistently try earning big amount in the stock market and it does work at times, but the streak is rather short-lived. Ironically, the crowdfunding innovation led to an influx of new traders which caused those returns to collapse, leaving other day traders with zero capital. However, it is also true that it is due to a lack of knowledge of day traders that they lose rather than their timings and this is the major concern. Nonetheless, the most important question that needs to be answered here is whether or not this innovation can help people? There are numerous causes for doubt and cynicism. For example, venture capital taken as an asset has consistently performed below par in the S&P 500 for the past ten years. Flushing more capital into the VC has led to lower returns. But when you talk about start-ups, the timeframes concerned are long enough that it has impeded basic trading. The central partiality that was discovered by researchers and the reason they believe individual stock traders lose their investments is that they are overconfident. To conclude, when you talk about the stock market, it is always the case where the stack is set against the new guy or the guy who doesn’t have much. So, that little guy is then forced to invest in boring index funds which also don’t prove to be lucrative for him.